Bow and arrow is one of the traditional weapons. It was not only used in hunting or in sports, it was also used in battles. 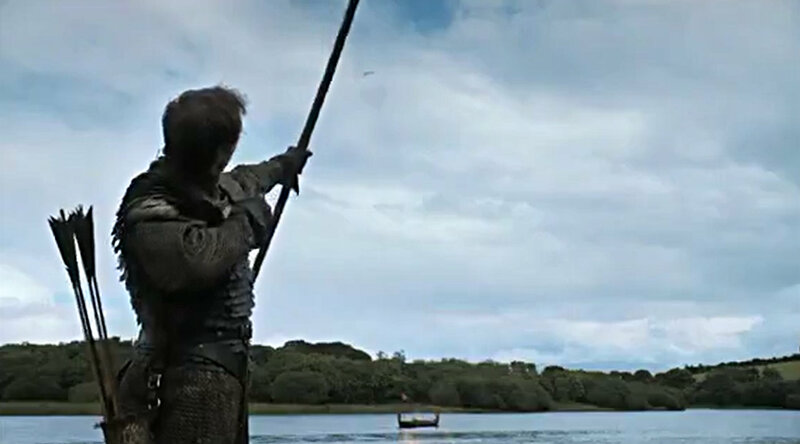 The origin of bow and arrow can be traced back in the Viking Era. The Vikings were considered as one of the great warriors in history. They are said to be from Norse origin. They are also renowned for their brutal characteristics which they owed from their strengths and exceptional skills in using their weapons. The Vikings’ weapons include the spears, axes, swords, and bows and arrows. Initially, Vikings used bows and arrows for hunting, but it was recorded that there were times when they used these type of weapon in battles. Just like in the movies, archers used bows and arrows to kill some of the enemies in the distance before the close range battle. Are there any evidence of Vikings’ use of bow and arrow? There are a couple of evidences that emerged to support the claim that Vikings used bows and arrows in battles. Here, the evidences are split into two categories: Archaeological evidence and Contemporary evidence. 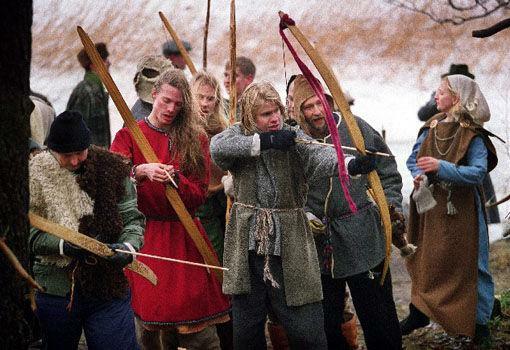 Archaeological– Evidences of bows were basically found in Denmark. These bows were approximately 2,800 BC and are made of elm. Another one is found in Viborg and has been dated from 1,500 to 2,00 BC. Contemporary– Accounts of Vikings’ conquests in using bows and arrows in battles were written in history. Some of these accounts are: (1) the Vikings’ warfare from the people who fought against them, (2) the Scandinavian laws from the Viking era, and (3) the Sagas. Sagas are collection of Vikings’ own stories and tales that richly talk about their heroes and history. One of the most notable use of bow and arrow is during Gunnar’s strategic defense at his home against Gizzurr hviti’s attack. He was said to have used a bow and arrow to kill about ten of his opponent from the upper part of his house. What are the bows and arrows usually made of? From the archaeological evidences found in Denmark, it was known that the classic longbows were used by the Vikings. The bows used in the era were made from elm. They also used long traditionally-shaped bows and could be made of yew and ash. Composite bows that believed to be used by the Vikings were strengthened with iron and horn and the nocks were made of wood or horn. The arrow heads of the Vikings’ arrow were generally made from iron, though there were few that were from wood and antler or bone. They also came from different dimensions and shapes. The shortest arrow head found in Norway is about 12cm long (5in). What bow and arrow size did the Vikings used? 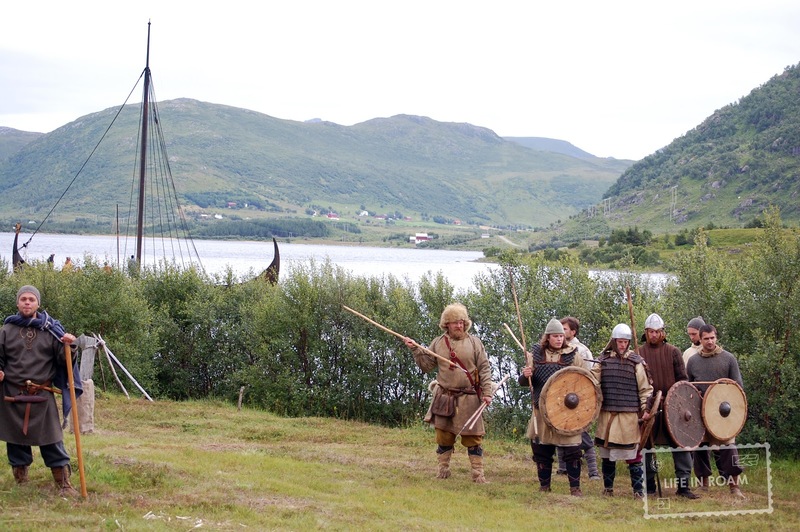 Though sizes varied from short to what they called “longbow”, Vikings commonly used the huge kind of bow and arrow. They seemed to prefer using long bows compare to the short ones. The term “longbow” was first used in the year 1448. The usual size range of bow was from 1 meter to 1.8 meters while the arrow was probably about 70 centimeters. Some myths claimed that longbows actually ranged from 5 feet long in the 11th century and it was only near the 15th century that they increased it by 6 feet long. You might probably think that the use of longbows is just a coincidence, but you couldn’t be more wrong. The use of bigger size of bows was not at all accidental. Vikings used longbows because this allowed them to shoot from long distance range of 200 meters. If a Viking shot an arrow at a short distance, the arrow would only pierce a shirt; but if they shot an arrow in a longer range, it could threaten warriors who were unarmed unless the shot luckily hit an expose body area. How important is bow and arrow for the Vikings? Bow and arrow, even if they appeared to be of simple designs, played quite a role in the Viking era. There were a lot of crossbow bolts that were discovered in battle sites. Bow and arrow became the weapon of choice by many soldiers along with other traditional ones like spears and swords.